Holds Ice, Sodas, Beer, etc. 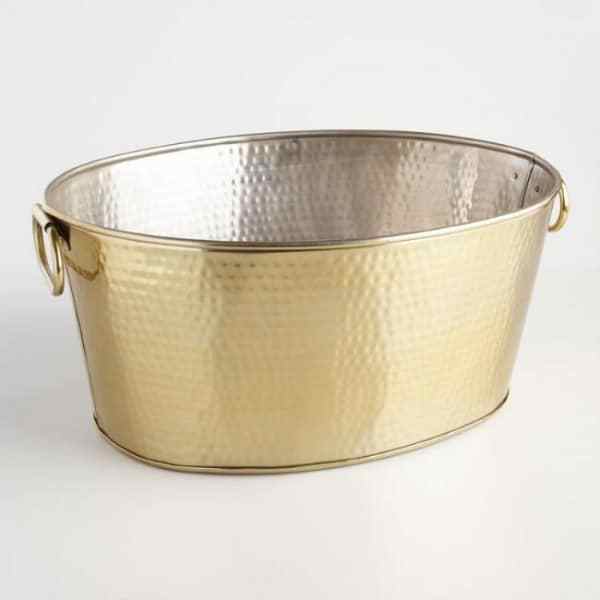 Hammered Gold Ice Tub holds ice and cold drinks. Perfect for your next self serve style event. Looks great with our Wine Barrel Bar, Serpentine Bar, or Standard 6ft Bar. Sip drinks on ice at your next summer party from a stylish beverage tub! 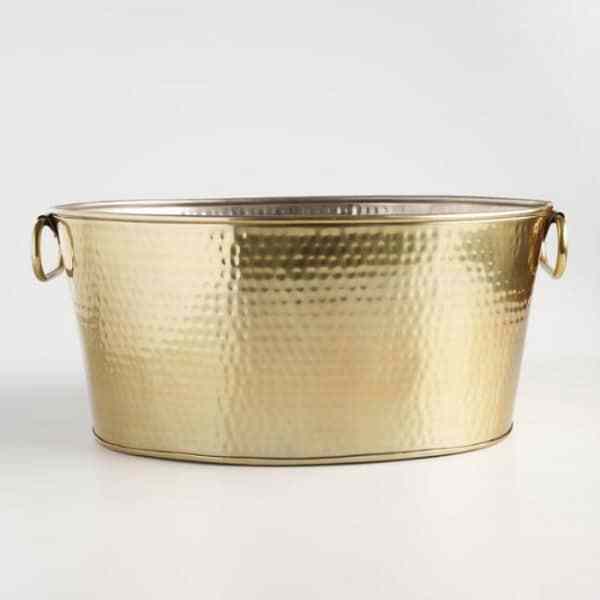 Noncorrosive sturdy steel construction with a hammered gold metal finish. Outdoor beverage coolers for chic celebrations or to match you summer theme party. Place on the table or below the bar for easy access for your guests. Finally, this beverage tub is useful and looks great!